Are you and your company still storing HR records on microfiche? Do they clutter up your office? Does it take unnecessary time to find the microfiche you need? Pearl Scan has a solution. Microfiche scanning offers an ideal solution for HR departments wishing to save time, money and office space. So what's it all about and how can you benefit? A number of HR departments still store past payroll information and customer details on microfiche which are stored in boxes. When someone needs the information contained on one of the microfiche, they must search through the box, find the fiche and set up the microfiche reader to view the documents it contains. There is a better way though. You can avoid all of that hassle by scanning old yet important HR microfiche. The digital copies can then be fully indexed and implemented into a digital document management system. What are the benefits of scanning microfiche containing HR records? No more wasting time searching through files, with digital HR records, you can store and share all of your documents in one place and view them at the click of a button. With fully indexed digital documents, you can access them quickly and easily, freeing up time to do more important things. Also, depending on where they are stored, they can usually be access from anywhere, at any time which will improve the efficiency of your office massively. Added to this, digital documents can be shared with colleague and other necessary people through email or made available on a cloud platform so you eliminate the need to print out documents. If your HR department stores a great deal of microfiche in filing cabinets, folders and boxes throughout the office, microfiche scanning offers the chance to free up that space. Whether you use it for more important things, an office downsize or just to give employees more room to breathe, more space is always a good thing. Microfiche scanning removes the need to print documents to share and store them so your HR department can save a great deal of money on paper and ink. You will also save money when the department runs more efficiently and gets more work done in a shorter space of time. Microfiche scanning and digital document storage also offers a safer storage option to traditional hard copy storage. Your files can be encrypted and password protected meaning only the people you want or need to view the files will be able to access them. Microfiche, their readers, and everything that goes with it are dying out. Storing documents on microfiche is no longer the efficient solution it used to be. Not only are they now inefficient, microfiche readers can also be extremely difficult to get hold of and even when you do find them they can be very expensive. 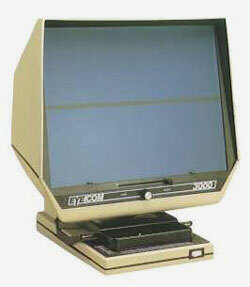 So, in terms of reaping benefits from a new document management system, all arrows point towards microfiche scanning. Microfiche scanning offers two vital elements; SECURE & SAVE. These things are important when storing information about employees and company records. Here at Pearl Scan, we offer a microfiche scanning service for HR records scanning which you can tailor to suit your needs. Many organisations have already trusted Pearl Scan with their scanning projects so now it's your turn to take the leap to digital document management and reap the rewards of future-proofing your HR documents. If you would like to request a free, no obligation quote for your scanning project, please follow the relevant links below or get in touch today.